Inside the pet industry, there are hundreds of sub-niches to focus on and business ideas to choose from. One of them is the mobile dog grooming market. The decreasing cost of acquiring dog grooming trailers has definitely contributed to the increasing demand for mobile pet grooming services over the last few years. If you are looking into capitalizing on this trend, read on for the top benefits that you will enjoy when you start your own mobile dog grooming business. As a business owner, you will have a greater ability to control your time compared to a regular employee. There is no one to enforce the rules on you since you are the owner. When you start a mobile dog grooming business, you have far more flexibility on how you can manage your time compared to other business owners. By having a business on ‘wheels’, you are free to set up appointments according to your own schedule. If you want to have two-hour lunches daily, you can schedule home visits around that. Whether you are the main pet groomer for your own business or not, you can always work around the appointments and avoid scheduling conflicts. What makes a mobile dog grooming business different from the standard dog grooming shop is that you have more time for yourself and you can schedule your time off at your discretion. Your employee can drive the dog grooming trailer to its appointments while you can stay at home to do some paperwork or spend time with your family. It’s all your call. For new business owners, one of the biggest draws to a business-on-wheels project is the decreased need to rent office space. Leasing real estate means monthly payments and more of your capital going towards it. During the early phase of your business, it is advisable to use your capital towards your dog grooming trailer fees. If you are just starting out, you can use your home address as your office address if your customers ask. But once you business has taken off and you are able to earn back your capital, you can reinvest the amount or rent out a physical office if you prefer. Customer satisfaction is the true goal of any business. When you setup a mobile dog grooming business, you are taking away the hassle of monthly visits to the veterinary or pet clinic. Some pets become uncomfortable when traveling and they are not used to places that’s not their usual habitat. Pet owners are more open to mobile pet grooming businesses since they can continue doing their household chores while their pets are groomed or bathed on a dog grooming trailer parked just outside their driveway. Pets are also less likely to misbehave when they are in familiar surroundings. Having pet grooming home visits will also allow you to network and connect with the core people that want your services. There is a more personal touch in having a dog grooming trailer business. It may take time to establish trust between you and your customers, but it will come as long as you deliver quality service. You can even tap into these customers to figure out your next business venture. 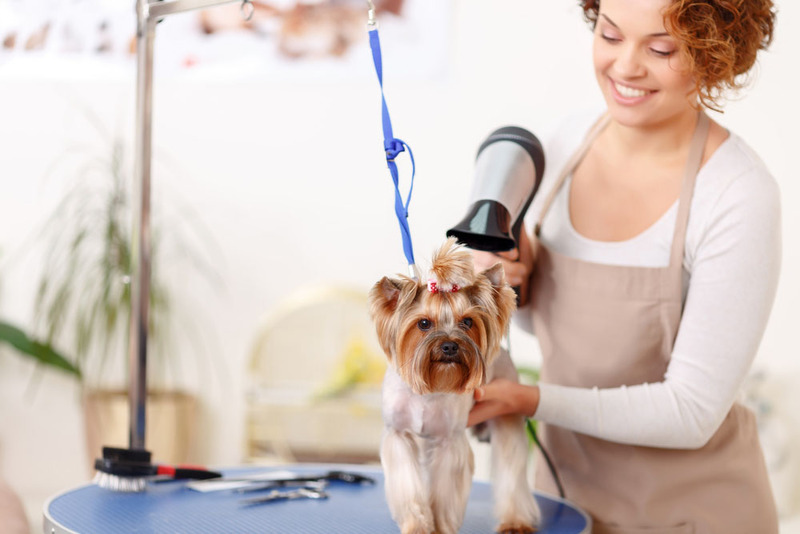 In a dog grooming business that allows you to visit customers in their respective homes, you are treated in a different manner than when a customer (and his/her pet) acquires your service in a store. You can even be friends with your customers and their pets. When you start out a brick and mortar business, your customer base is limited to the people who can visit you in your pet store location. But when you have a mobile dog grooming business, you can decide on selecting a wider area of service. You can travel to places that may be too far from your base location. Since you business is mobile, can designate specific days of the week for servicing the far corners of your town or city. And then you can focus on other appointments on weekends, for example. As the business owner, it will totally be your call. Having a larger service area maximizes your business profits. This also allows you to spread the word about your business. And when time comes for you to add another dog grooming trailer in your fleet, you will already have a customer base in other parts of your county or state. It’s easy to get discouraged when first starting out any business. But after reading this short guide on the benefits of starting a mobile dog grooming business, you will hopefully be more inspired when launch your own business.